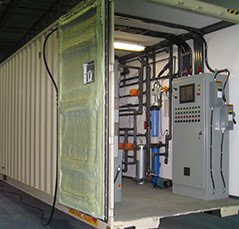 Current Water Technologies' patented AmmEL systems represent cost effective and environmentally sound treatment processes for the removal of dissolved ammonia from industrial and municipal water including wastewater, storm water, sewage effluent and mine waste water. 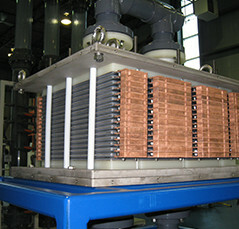 At the core of the AmmEL system is its proprietary self-cleaning electrochemical reactor that converts total ammonia directly to gaseous nitrogen without producing the carcinogen nitrate and the greenhouse gas nitrous oxide. Responsible management of ammonia will inhibit the proliferation of algae and improve water quality of receiving water bodies. In contrast to conventional biological processes, the efficacy of Current Water Technologies' electrochemically based systems is not affected negatively by low temperature enabling responsible management of ammonia in northern regions of the globe year-round. Effective in reducing the ammonia concentrations from storm water, industrial and municipal wastewater systems. Current Water Technologies’ AmmEL-LC technology is proven effective at reducing inlet ammonium levels in the effluent water at municipal and industrial (ie. mining, chemical and fertilizer industries, etc.) sites to below the effluent ammonium limits. Current Water Technologies' research team has developed, and proven the efficacy of, a natural ion exchange material capable of maintaining high ammonium removal rates while precluding the absorption of calcium, magnesium and strontium ions. 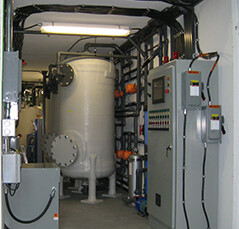 The enhanced ion exchange material minimizes the adsorption of calcium, magnesium and strontium during the treatment of waste water while maintaining a high rate of ammonium removal. An advanced technology that is well suited for treatment of municipal and industrial wastewater, storm water as well as contaminated groundwater. Municipal wastewater treatment plants can employ AmmEL-HC after sludge dewatering processes to prevent ammonia toxicity to the activated sludge process. 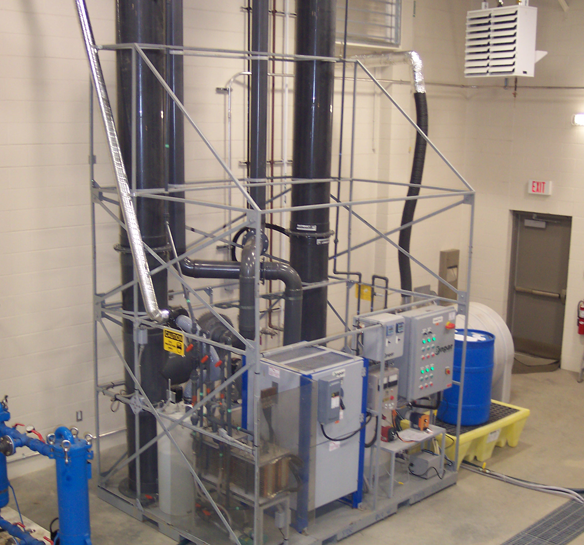 It is an excellent complimentary system for treatment facilities during cool weather conditions when nutrient removal in biological reactors slows down. With a high removal rate immediately upon startup, it is able to divert excess loading from existing activated sludge processes during acclimation periods or system upsets. 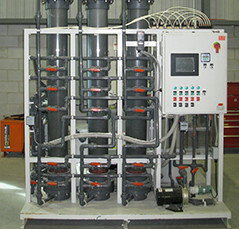 Contact us to find out more about how one of CWTI’s novel AmmEL systems can help with your ammonia removal needs.